“I’m Itchy! !” Is all I have been hearing for the past few days from my kids. We were in Texas for the week and definitely not used to all the mosquitoes that come out! I brought Terrashield spray with us to repel the mosquitoes but I forgot to put it on before we went out one night. 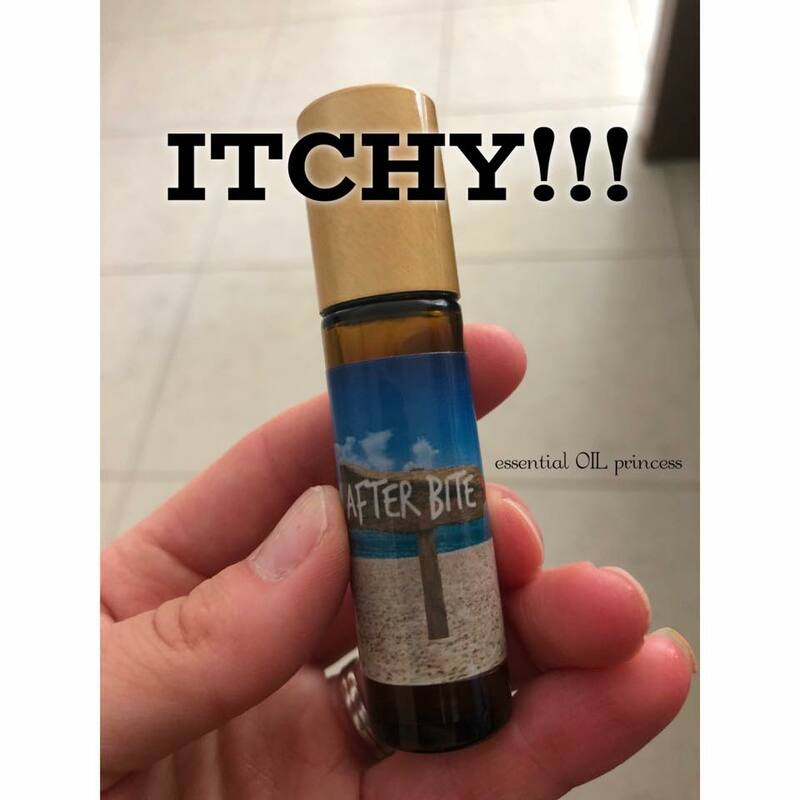 My kids got a few bites on them and unfortunately my son swells when he gets bit so he was really uncomfortable Luckily I had brought a good variety of oils (Rosemary, Correct-X and deep blue) with me and I was able to ease some discomfort while we were there. When we got home, I made an “after bug bite” roller to use on some of their lingering bug bites. I used basil, rosemary, lavender, melaleuca, lemongrass and peppermint. And then topped the roller off with half aloe juice and half apple cider vinegar. The oils help support the skins natural healing process and with the discomfort associated with the bug bite. 5 drops each of basil, rosemary, lavender, melaleuca and lemongrass. 2 drops each of peppermint and OnGuard. Fill half the 10ml roller with aloe juice and the other half of the roller with apple cider vinegar. Shake lightly before rolling it on a bug bite!